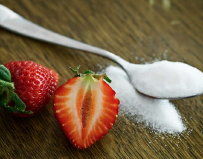 Dietary guidelines suggest limiting calories from added sugar to less than 10% per day. Can Lead to Fatty LiverHere are 10 reasons why eating too much sugar is bad for your health. In coming issues of the North Idaho Family Magazine we’ll be looking at different diet trends, sorting out the “hype” from the truth, and what different diets mean for you and your family.